Growing up as a Christian, many social issues caught my attention. The global food crisis in 2007-08 that resulted in the death of many people especially in poor regions was one of them. It started off as a concern at the back of my mind, but slowly developed into a burden that gripped my heart. Waging war against poverty, starvation and malnutrition is no longer just a cause to fight for, it became God’s call upon my life. Article 25 of the Universal Declaration of Human Rights state that everyone has the right to a standard of living adequate for their health and well-being. I want to see that day come to pass. Approximately 30% of the world’s population are zinc-deficient, affecting more than half of the children, elderly and pregnant women in developing countries. If severe it causes stunted growth, poor immunity and retarded mental development, and is ranked as the 5th leading factor of diseases in the developing world. In developed nations, people with Zn deficiency may have quicker progression of age-related macular degeneration (AMD) symptoms. About 10% of Australians aged 55 or older are victims of this disease. 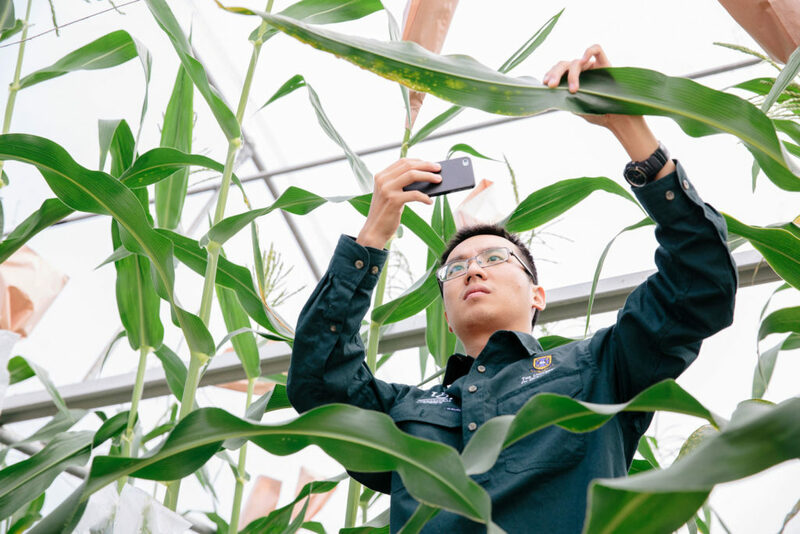 A recent project had successfully increased zeaxanthin concentration, another compound for AMD symptom alleviation, in sweet-corn by 10 times. Thus this is a carry-on project to enhance the nutritional value of sweet-corn. My work time is spent approximately 40% in the office reading published literature, planning experiments, doing statistics and interpreting results, writing publications and my thesis. 30% is spent in the field or glasshouse planting trials, monitoring crop health, applying treatments, manual pollinating sweet-corn and harvesting. 20% is spent in sample processing labs, such as weighing, drying, measuring, grinding samples for analysis. The final 10% is the actual generation of data, by running samples through machines in labs and world-class facilities (Australian Synchrotron) etc. But remember to keep sane! Always find time for friends and family, do the things you enjoy. In short, work smart, play hard. Biofortification (increasing nutrient concentrations in food crops either through genetic selection or agronomic intervention) has been shown to be the most cost-effective approach to malnutrition. Sweet-corn is a widely consumed vegetable worldwide, so the benefits can be enjoyed by many in both developed and developing countries. If successful, discoveries made can possibly be applied in maize, a close relative of sweet-corn and a staple of many developing countries especially Africa and Latin America. Agronomic best practices are also translated into lower cost for farmers, more efficient agricultural systems, and less burden on the environment. From a food industry point of view, there is now a wider selection of Zinc-enriched food that can be prepared differently. There are just so many opportunities in agriculture to make a difference in this world. Ultimately my dream is to work in the area of public policy drafting, especially in the area of poverty and starvation reduction, and rural development. Given the chance, I would like some work experience with Food and Agriculture Organization (FAO) or International Fund for Agricultural Development (IFAD) of the United Nations (UN). As a side hobby, I hope to run an agro-tourism/education farm where families can bond over the weekend and schools can teach kids on the joys and challenges of putting food on the table. The profit earned will be channeled to help the less fortunate. Food trucks to villages, soup kitchen for urban poor, breakfast programs in schools, free meals for homeless or people in desperate financial situations, etc. Don’t get me wrong, sometimes the going gets tough. On those days I remember why I started out on this journey in the first place: to see lives transformed, to see hope in communities where there were once only despair. We may think the little we do or say are insignificant, but we never know how far the ripples go.